(from CBS News) ISTANBUL — In Turkey, the government has declared victory in a referendum to change the constitution in ways that would give sweeping new powers to the president. The political opposition in the country — one of America’s NATO allies and a key partner in the fight against ISIS — has challenged the result, however, saying millions of votes should be recounted. Returns broadcast by state-run news agency Anadolu showed that with almost all the votes counted, the “Yes” vote, in favor of the sweeping changes, had about 51.3 percent compared to 48.7 percent for the “No” vote. The constitutional changes would weaken Turkey’s courts and its lawmakers, and place enormous authority in the hands of just one person: President Recep Tayyip Erdogan. He has already been the most powerful man in Turkey for 14 years, and though he was democratically elected, he’s a divisive politician, and his critics say the referendum is a step towards dictatorship, and it could change Turkey irrevocably. 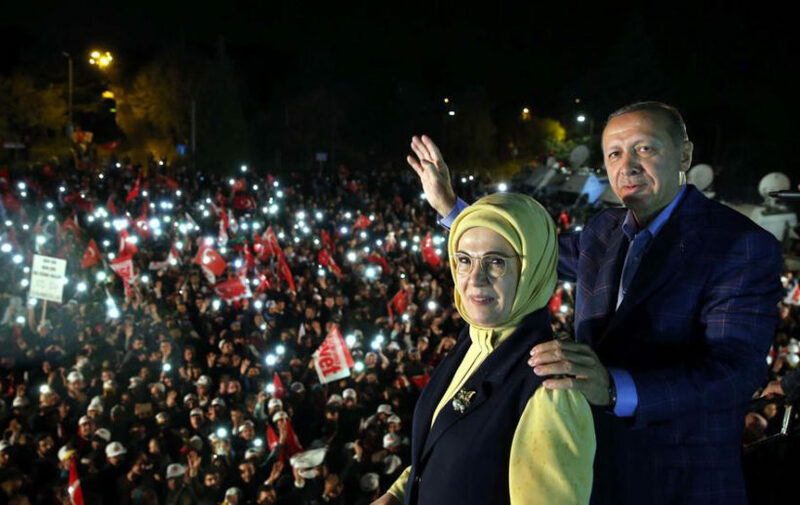 At rallies across the country, Erdogan’s supporters celebrated the seemingly narrow victory for the “Yes” vote for drastic constitutional reform. Many of them are poor, religious Muslims from the Turkish interior who credit Erdogan’s government with raising their standard of living. Erdogan argued the changes would guarantee stability in Turkey — a message that resonates in a country that’s suffered a spate of suicide bombings, as well as an attempted military coup last July that nearly ousted the president from power. Erdogan’s political opponents say the constitutional changes would remove checks and balances on his power. They fear he’s already showing authoritarian tendencies. In the aftermath of the failed coup, Turkey’s government launched a crackdown to round up not just the renegade military officers behind it, but anyone it believes to be an enemy. So far, nearly 50,000 people have been detained, including judges, journalists, opposition politicians and university professors. Erdogan’s critics say there was widespread voter fraud on Sunday. CBS News cannot independently verify the fraud claims, though some instances appear to have been captured on camera. 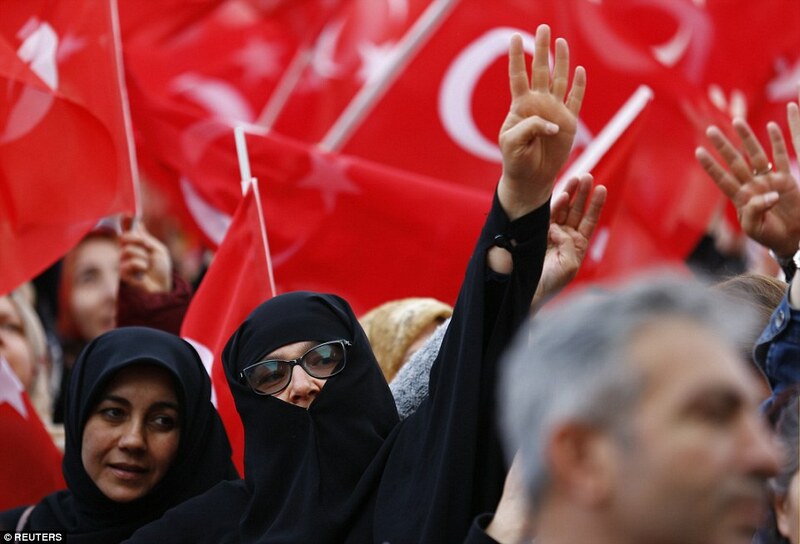 Campaigners for a “No” vote were reportedly threatened and harassed before this referendum, and Turkish government leaders equated a vote against the constitutional changes to supporting terrorism. From CBSNews .com. Reprinted here for educational purposes only. May not be reproduced on other websites without permission from CBSNews. 3. President Erdogan served as Istanbul’s mayor, then served two terms as Turkey’s prime minister before becoming president in 2014. How does the referendum to the constitution affect the structure of the government? 4. Who are Erdogan’s supporters? 5. What did Erdogan’s government do in the aftermath of the failed coup last year? 6. Read the “Background” and watch the news report under “Resources” below the questions. What do you think of the constitutional changes in Turkey? Prime Minister Erdogan’s critics have increasingly accused him of brooking no dissent and harboring a secret agenda to turn Turkey into a religious society [although Islam is the dominant religion in Turkey, the government has been secularist for 100 years – research Ataturk for more]. Recep Tayyip Erdoğan won the Turkish referendum. What happens now? What was decided in the referendum? There was a narrow vote in favour of radically changing the constitution. Right now Turkey’s president is a largely ceremonial position but after the changes it will become a vastly powerful position as both the head of the government and head of state. The president will get sweeping powers to appoint judges, dissolve parliament, declare a state of emergency and make some laws by decree. What will it mean for Turkey? Supporters of the changes say it will give strong and stable government and help Turkey face up against terrorism, chaos in neighbouring Syria and internal threats. Opponents believe it may be the end of Turkish democracy as there are insufficient checks on the president’s power. Both sides agree it will shift power away from parliament concentrate it in the hands of the president. Most of the changes will come into effect when the next presidential term begins in 2019. Others will start whenever there is a parliamentary election, which will probably be at the same time. Mr Erdoğan seems likely to win a 2019 election and could in theory stay in office until 2029. Can the opposition overturn the referendum election result? Very unlikely. The electoral board has certified Mr Erdoğan’s Yes camp as the winner and are showing no signs of backing down from their decision. If people took to the streets in large numbers it might give the government pause but the opposition is wary of mass protests after Mr Erdoğan’s crackdown on dissent. What does this mean for Turkey’s relations with the EU? Mr Erdoğan accused European leaders of behaving like “Nazis” as he tried to galvanise nationalist voters during the campaign. EU leaders spoke openly of their concerns about the constitutional changes. But Turkey has made conciliatory noises towards the EU since Sunday’s vote and many analysts expect the two sides will try to smooth over their differences now the referendum is over. What about Turkey’s position in Nato? The referendum campaign frayed Turkey’s ties with Nato allies in Europe but its most important relationship inside Nato is with the US. Donald Trump needs Turkey’s cooperation in the fight against Isil but is wary of Turkey’s hostility to America’s Kurdish allies. Mr Erdoğan may feel emboldened to act more assertively in Syria and Iraq after the referendum – with unpredictable results for Nato.